By Yanay Rosen (Online Editor-in-Chief). The ephemeral hope for US energy independence has crashed with oil prices. Since 2008, US oil production has nearly doubled. However, oil prices have dropped 50% since 2015, in part because of increased US production, but also because of increasing supply from Middle Eastern members of OPEC. In response to direct competition from US suppliers, members of the oil cartel flooded the market with their oil reserves, dropping prices further. Lower oil prices decrease the revenue of both American and international oil producers, but the burgeoning US oil industry is weaker than the Middle East’s and can not withstand these drops. The largest benefactor of US oil was North Dakota, who gained nearly 80,000 high paying jobs and a $25 billion dollar increase in GDP, a two fold increase since 2002. But the oil price drop has devastated oil producing states’ economies. North Dakota’s economy shrank more than 3 percent in the third quarter of 2015. Long-time oil producing states have also been devastated. Alaska now faces a 4.1 billion dollar budget deficit. CEO of CVR Refining LP Jack Lipinski says that refining companies are ceasing production. The price drop has negatively affected other markets as well. From December to March, the Dow Jones Industrial Average dropped 2000 points, although it has since recovered. Lower oil prices signified less industrial demand, scaring off investors. Many fracking companies went into debt to finance equipment purchases, and our now unable to repay their loans. 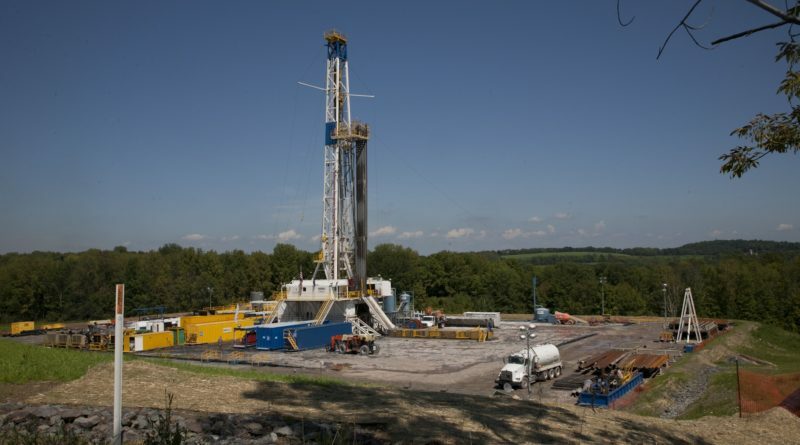 Matt Smith, director of commodity research at research firm ClipperData, says that the fracking companies that took the biggest risks were hurt the most. “It seems those companies that were most highly leveraged were also the ones taking the riskiest bets. That’s what has come back to hurt them the most,” said Smith. “The energy sector remains the most troubled, accounting for almost a quarter of the 79 defaults so far this year,” said Sharon Ou, Moody’s Credit Policy Research senior credit officer. Investing specialist Marc Lasry, CEO of Avenue Capital Group, says energy companies are increasing their debt to $250 billion and $300 billion, compared with the $100 billion at the start of 2015. Banks have cut credit lines of 10 energy firms by over one billion dollars so far this year. Foreign oil companies have also been hurt. PetroChina saw a 3.8 billion dollar decrease in profits last year. “Gains in refining and chemical weren’t enough to offset weaker oil prices, which dragged exploration and production into losses. Ample gas supply this year may encourage a gas price cut in the second half of the year, which is likely to be the biggest headwind for PetroChina.” said Bloomberg analyst Lu Wang.